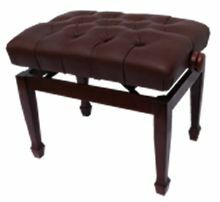 We offer a wide range of solo and duet piano stools - far too many to list here! Full choice of wood finish, draylon or leather seat and leg style. We offer budget priced stools for schools through to hand-crafted custom stools for the professional concert pianist. Our piano stools are available in a wide range of wood finishes with various colour dralon or vinyl seats (hide seats available). Ask for details. 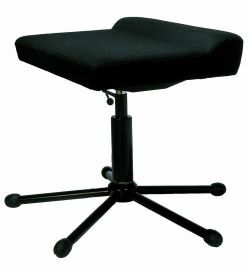 Five legged star base (black or chrome), height adjustable anatomically formed non-swivel seat. Seat height approximately 460mm to 540mm. Price £325.00 + delivery & VAT.